It is quite fitting that McLaren’s first ever international internship should be awarded to Andrew McLaren (no relation). Not only does Andrew share a namesake, but also a significant journey. 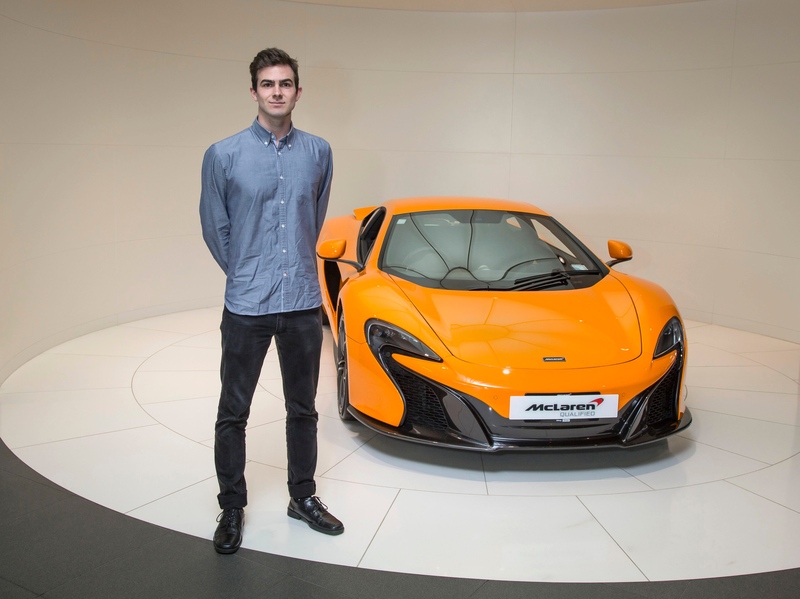 Just as Bruce McLaren, McLaren Automotive’s founder did nearly sixty years ago: Andrew will travel from his homeland of New Zealand to work alongside the Research and Development engineers at McLarens Technology Centre in Woking for nine weeks. Travelling to England on a scholarship to pursue motorsport aspirations, Bruce McLaren was an accomplished engineer and innovator, having studied at the Auckland University of Technology; before founding his own racing company in 1963. It is difficult not to draw parallels as we look at Andrew’s internship journey: Born and educated in Dargaville, New Zealand, Andrew then went on to study a Bachelor of Engineering in Mechatronics at the University of Auckland; where he is now a third-year student. Given Andrew’s decision to study Mechatronics (a mix of mechanical, electrical and computer engineering), it is no surprise that his focus lies within the research and development of future products; a passion that is even more enticing given the company’s endeavors to engineer their next generation of supercars with reduced emissions. In regards to his newly awarded internship, Andrew said: “I can’t wait, it’s a field that is very hard to get into because there is very little opportunity in New Zealand, so I thought I would never get a chance like this. I would love to be at the forefront of that kind of innovative thinking. I’d really like to do something that would benefit society”.